In today's fast moving world with technologies we are loosing our intuitive interactions with day to day things. Our relationships with old objects are now replaced by new intangible and unnatural interactions. 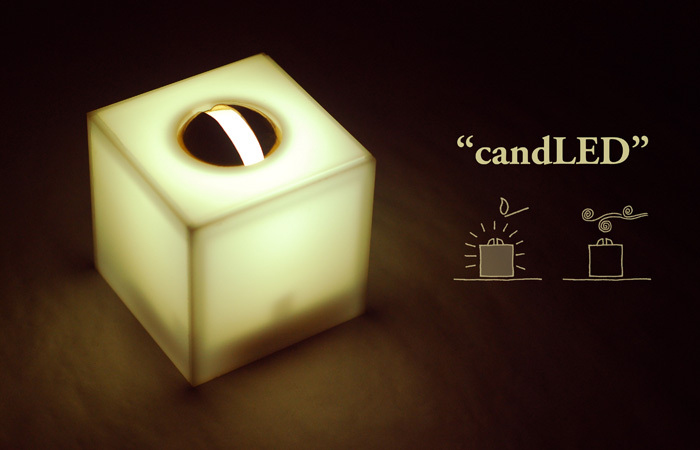 "candLED" is an idea to preserve our valuable interactions with light, just like lighting a candle. 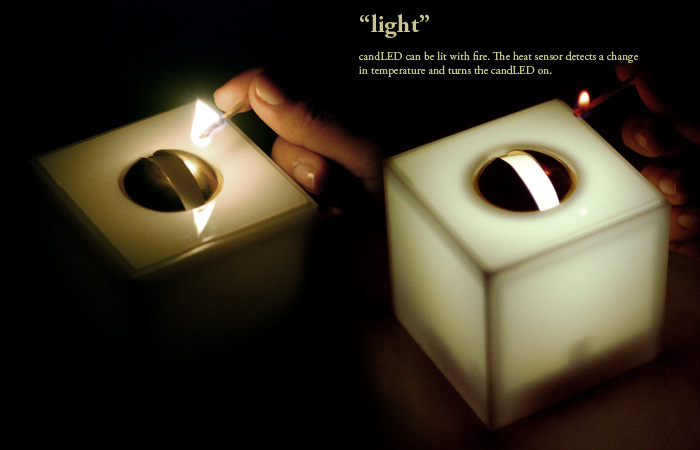 candLED is a cube-of-light that behaves like a candle - it burns, flickers, fades, blows-off and dies. 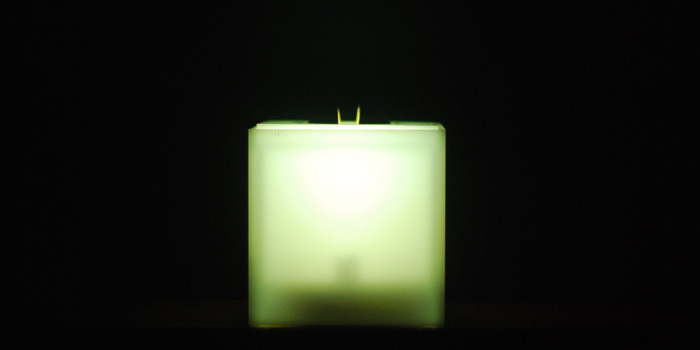 candLED is made up of LED and a battery, but it does not have a switch. candLED lights up with fire, it burns until its life and then dies. It can also be turned off by blowing or shaking and can be re-lit again. 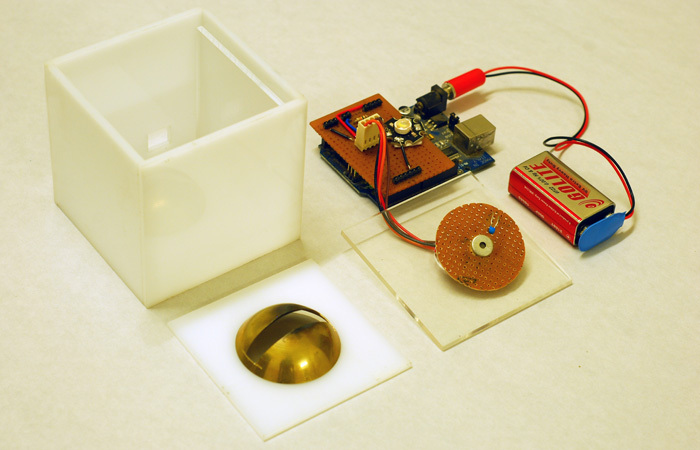 candLED is a working prototype made with a heat sensor, blow sensor, micro controller, LED and a battery. LIGHT: candLED can be lit with fire. 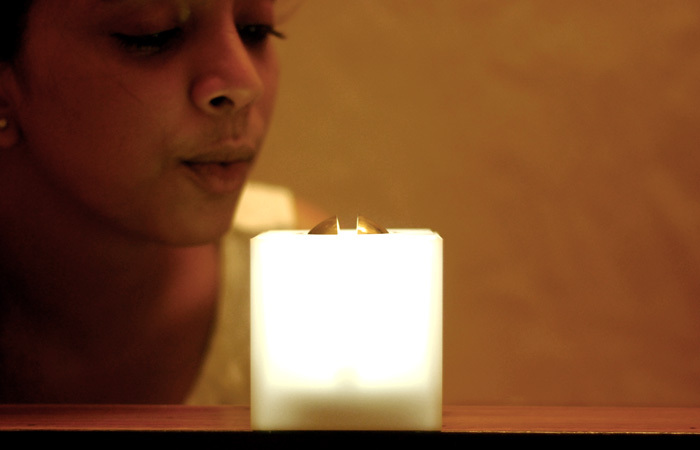 The heat sensor detects a change in temperature and turns the candLED on. 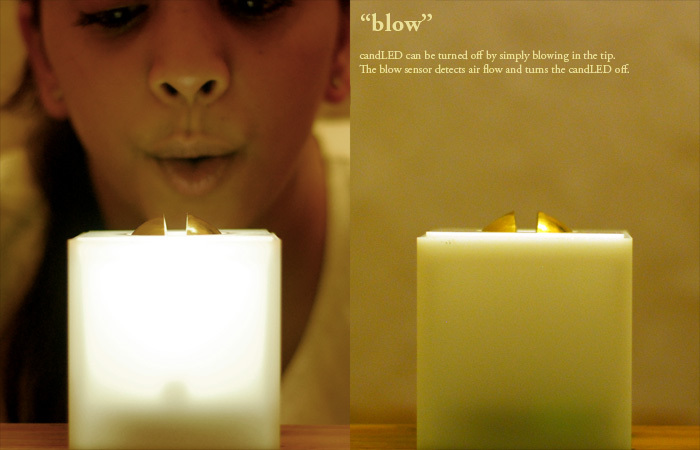 BLOW: candLED can be turned off by simply blowing in the tip. 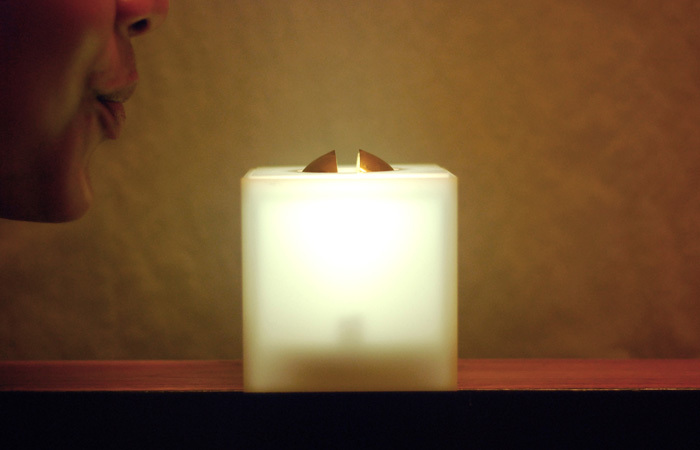 The blow sensor detects air flow and turns the candLED off.